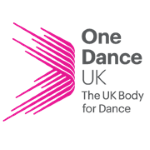 One Dance UK is the leading subject association for dance in schools. As a membership organisation for teachers and dance education professionals, we seek to ensure all young people in the UK have equal access to a high quality dance education. We support the learning and teaching of dance wherever it is located within the curriculum and actively work with a range of physical education and arts organisations, government departments and statutory bodies to help shape national policy for dance in the curriculum. We promote high quality learning and teaching in dance, provide a range of resources and professional development opportunities for those teaching dance in schools and in initial teacher training and support the dissemination of best practice.